Depending on your line of work you may also have your lunch or a day planner, tablet, or laptop. For most people, on their average day, these items are fine for going to work and coming home without incident. What if there IS an incident? Then what? 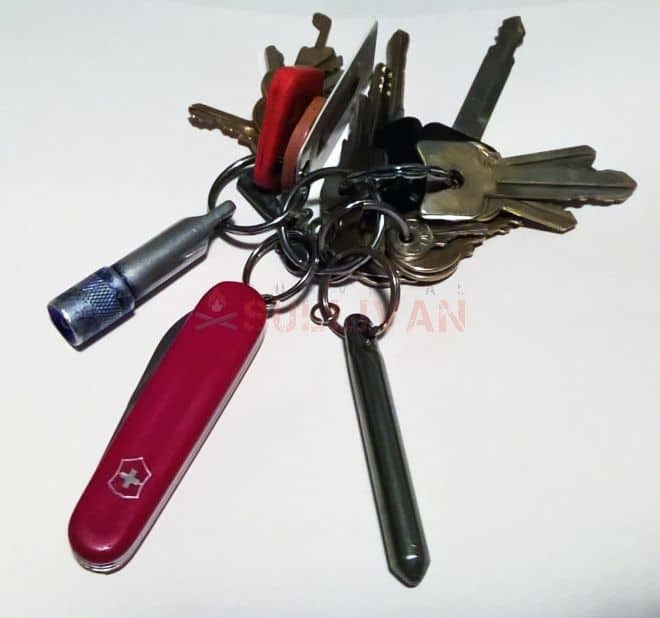 My keychain, pictured, has a small Swiss knife, a flashlight, and a Kubotan on it for just in case. There is a saying that I always try to live by, it says that “it is better to have it and not need it, than to need it and not have it”. That mindset is like having a fire extinguisher under the kitchen cabinet. It’s likely been there for years. You hope that you never have to use it, but it gives you some comfort just knowing it’s there. That’s the way I think about everything I have on my person or in my car daily. I’m in a better state of mind just knowing those items are there, but I hope that I never need any of them. But of all of these items that many of us carry every day, which items are really the most critical? In the world of business they say that location is the most important factor to success. Well, location is also an important factor in deciding what the FIVE most critical items are for your EDC. That it because the part of the world in which you live dictates what the most important EDC items are. If you live in a place that doesn’t allow the carry of handguns then you can’t put those on your list. If you live in a place that has an average annual temperature of 75 degrees then the space blanket probably isn’t very critical for you to have either. However, if you live in a desert climate like in Arizona, then you WILL need to include the space blanket in your critical EDC items. That’s because although the temperatures are high in the day time, at night the temperatures drop dramatically. You might be concerned about having a heat stroke if you are stranded in the desert by a broken down car in the day time. But after the sun goes down then you are worrying about freezing. In that environment you would also want to make sure you have plenty of water on hand at all times by keeping a couple of gallons in the car. If you live in the bush in a state like Alaska, you will need an entirely different set of EDC items than the person that lives on Manhattan Island, in New York City. First off, they aren’t allowed to carry handguns in New York. Mean while in the Alaskan bush, not only can you carry a handgun, but you SHOULD carry a handgun. A big handgun, like a .44 Magnum, or .454 Casull. The reason why is because in the Alaskan bush you may encounter a hungry grizzly bear. There’s not much you can do if he wants you for dinner either, except to shoot him with a large caliber handgun. 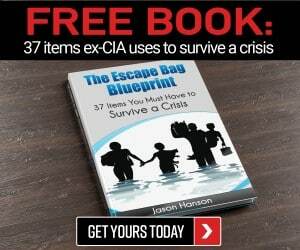 I suppose if you had to make a list of the 5 most critical EDC items that would cover a wide range of scenarios and conditions you could do it. But, how will we define EDC (everyday carry)? Does every day carry only apply to items that you can carry on or about your person? Or does every day carry apply to items that you can keep in your vehicle as well? Or maybe we should make two lists? One list that is for the five most critical items to have on or about your person for every day carry. Then another list that says the five most critical items to keep in your vehicle for every day carry. To be the most thorough I feel that making two lists is the best way to go. 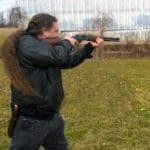 I tried to make this list to apply regardless of where you live, and keeping in mind local, state, and federal laws about weapons. 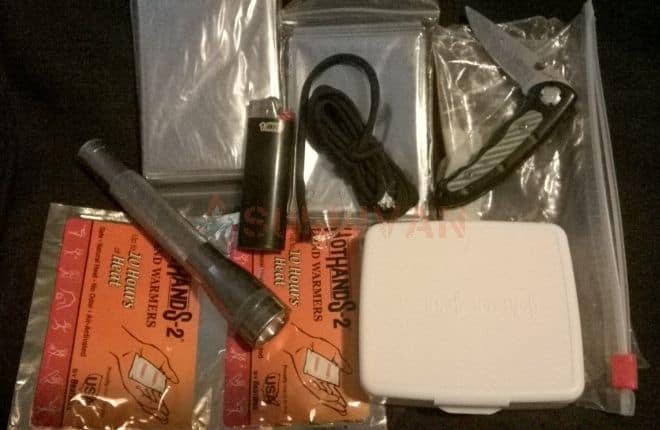 I have contemplated what five items are the most critical for you to have on you for EDC. What I came up with could be argued but really it all comes down to semantics. Defensive weapon– This will be based on your location. Check your state and local laws to determine what you are allowed to carry. That can range from a keychain mounted Kubotan to a .454 Casull. 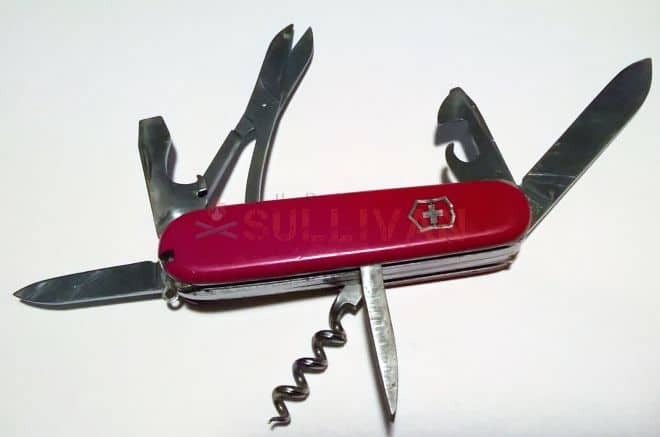 This larger Swiss knife can be a multi-tool and a defense weapon. Multi tool– There are several versions of this device. This is another one of those items that can be tailored to fit your location. Many of these have knife blades, pliers, screw drivers, even a little saw blade. Some even have a little flashlight on them. With the right multi-tool counting as only one item, you can squeeze a dozen more items onto your list in that one little belt pouch. Cell phone- In today’s modern world you can get cell phone reception almost anywhere. Even if you can’t get reception, you can store tons of information in your phone about edible and medicinal plants in your area. This can be vital, life saving information. Take me for instance, I know a lot of things about survival, but I don’t know everything. However, if I keep a cell phone with me I can store information or even look up information on the spot. Also, there are many apps now that are useful, like topographical maps, GPS, and even a compass. Paracord– This is a very versatile item. It has so many uses they are virtually endless. You can have a key chain or bracelet made from paracord that you can take apart if the need should arise. A bracelet made of paracord usually has one foot of paracord per one inch of bracelet length (depending on the weave or knot work). You can wear two or three paracord bracelets if you want to, in order to make sure you have plenty on you. You can even make a pants belt out of paracord, that way you will have a LOT of paracord with you all the time. Cash- Cash is king. I’m sure most of us have heard that saying before. Money is a good thing to have on you at all times. If you are in an urban environment then you can use a bank card, or credit or debit card. But if you are out in the wild a card isn’t going to help you. Out there you need CASH! What do you need money for if you are lost out somewhere you ask? Well, if you are stranded and encounter a person, cold, hard, cash money can go a long way towards getting you back to where you need to be. In lieu of cash you can wear some gold jewelry. In ye olde days of the pirates and swashbucklers, they used to wear long gold chains around their necks and they would cut off a link or two and pay for everything from food and drink to “dessert”. If you are stranded you can’t rely on the kindness of others. But you can usually rely on their greed. Offering to pay for a ride with some cash or a chunk of gold usually meets with a positive response. Now, many of you may argue about some of my choices. “Where’s the lighter to start fires with”, you may ask. My response is, I don’t need a lighter to start a fire. If there is wood for a fire, then there are sticks. 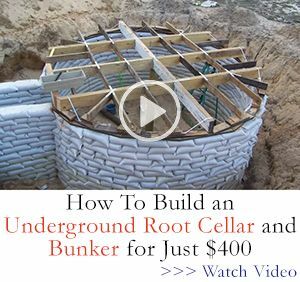 If there are sticks then I can make a bow drill and a hearth (ember block thing) and build myself a fire that way. By the way, the hearth is the piece of wood that you cut the notch in and a stick goes in the notch from the bow drill that catches the glowing ember into your ball of tinder. But I like to call it the ember block thing. Again, this list will be subjective, some may argue with me on some or all of my decisions. The items you keep in your car will also vary with the seasons. For example, in the winter time in my state it is a good idea to keep a shovel in the trunk in case it snows. All in all though I think that these items are good choices for everyone to keep in their car at all times. Pictured below is a car kit that is in the pouch on the back of the seat in every car we have. Water- Carry like a gallon or two if you have long drives regularly. Snacks- If you get stuck in traffic on the highway because of an accident you can be there for hours. It’s happened to me before and I was so glad for those granola bars and that water. Cold pack- If you break down and have to walk or the AC goes out and you’re stuck in traffic a cold pack can not only make your trip more comfortable, but it could save you from heat stroke. Cell phone charger- The cell phone you should have with you at all times is no good if it isn’t charged. Jack and spare tire- A simple flat tire is no big deal if you have a spare. If you don’t have a spare then it could mean you’re stranded. Depending on the weather, location, and distance to home that could be life threatening or just an expensive wrecker or roadside service bill. Really it’s the same as the warm weather stuff but the cold pack should be changed for hand warmer packs or a hot pack and you should always keep some space blankets in the car. I sound like a broken record, I know, but I can’t stress enough that your most important tool is your brain. Observe what’s going on around you, think about the possibilities and what you would need or do in various scenarios. When you leave in your car are you just going a couple of miles away to the store or are you driving a couple of hours away for something? 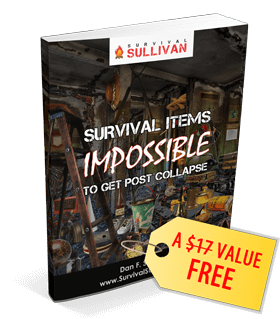 The items that are most critical to you will be different for those two scenarios, and in reality there will probably be more than five items that could be critical. If you really have to nail it down to only five items, then think about where you’re going and what you’re doing, or going to do. Then you will best be able to determine what the truly five will be. In reality, I’d really hate to have to break it down to only 5 items to carry. Especially in the car since there is so much room to stow gear in a vehicle. I have to admit, mine isn’t as organized as it should be, but for the most part it’s there. I also have to admit that I don’t carry as much in my car as I used to, but I never really go anywhere anymore. If I plan to travel anywhere that’s a long distance away and for any kind of time away, then I most definitely pack the car to the brim with incidentals. Because like I always say, repeat with me boys and girls, it’s better to have it and not need it, than to need it and not have it. Previous Who Got to Trump? Where do I buy flares? I also think you should include a reflective vest. In case you are on the side of the road at night. Good idea on the reflective vest, that reminds me I should’ve mentioned reflective triangles so thanks for commenting as they are reusable and less harmful for the environment. Auto parts stores sell the flares at the best price, thanks so much for your comment! some states like California you cannot use flares as to fire hazards, so you may want to check for your area first. Seriously? A bow drill is you first go to for starting a fire. I was with you until you mentioned that choice. To each his own I guess but I would be having my first cup of hot instant coffee using one of my numerous Bic lighters that I have stashed throughout my gear while you are still stroking your rod. Just recently I met a young fellow who shows school kids all the primitive ways, flint knaping, weaving , fire lighting, etc. and he said his record for getting an ember using hand drill method (not the bow drill) was about 25 seconds. I watched him get an ember and have fire in the tinder in about a minute and a half. So it is not that hard if you have had the practice.